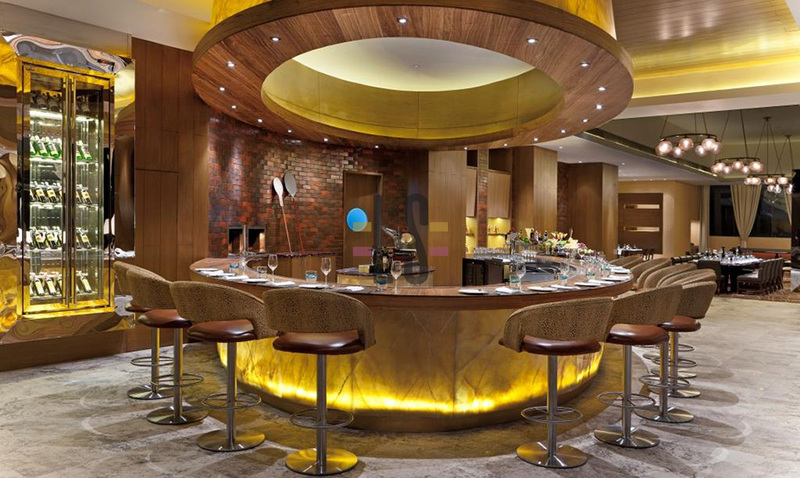 Bene, the Award winning signature Italian Restaurant at Sheraton Grand Bangalore Hotel at Brigade Gateway offers an exclusive range of divine Italian food. 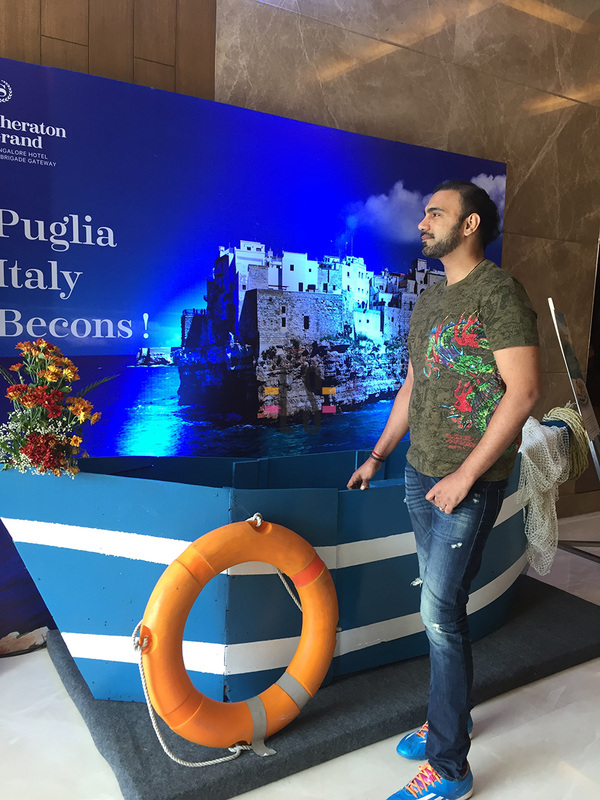 Presently the Bene is hosting traditional, rustic south Italian food festival called the “Taste of Puglia” and it will go on till the 13th of this month. 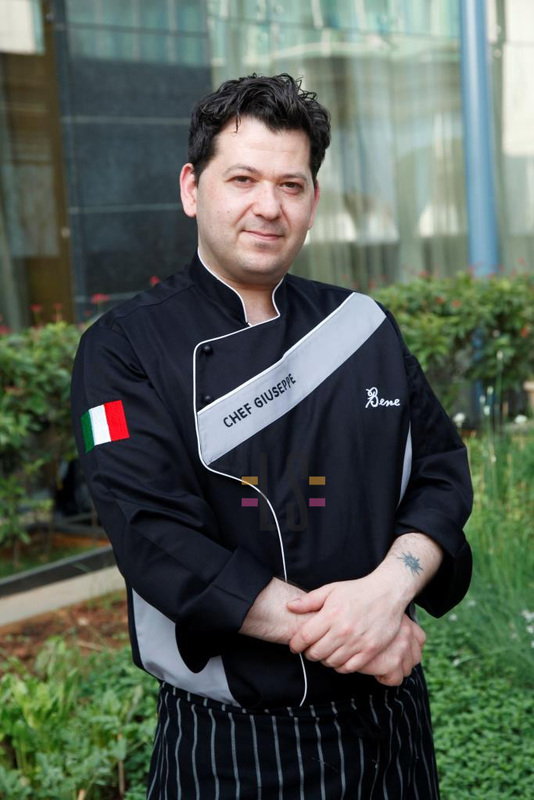 Chef Giuseppe is the Head Chef at Bene, Sheraton Grand Bangalore Hotel at Brigade Gateway’s signature Italian dining venue. 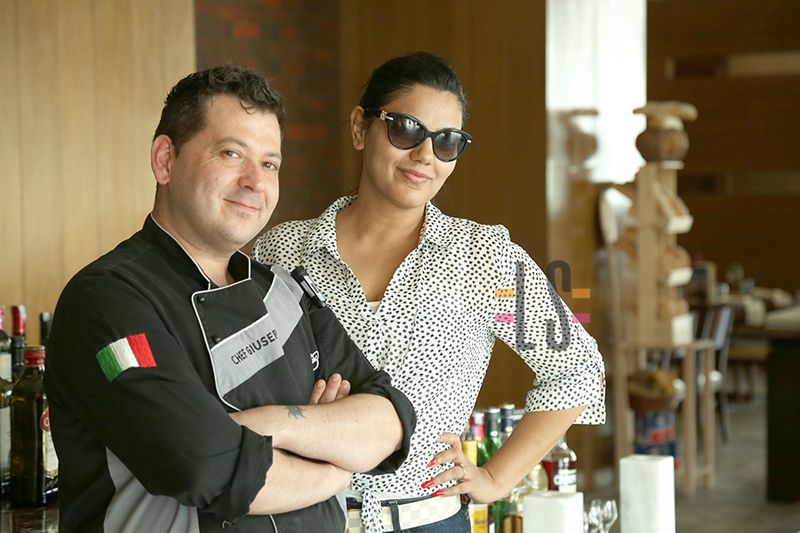 An enthusiastic and pioneering chef, he brings his diverse expertise to the culinary aspects of Bene for this food festival with his specially curated menu which is so typical to homes of the south of Italy. 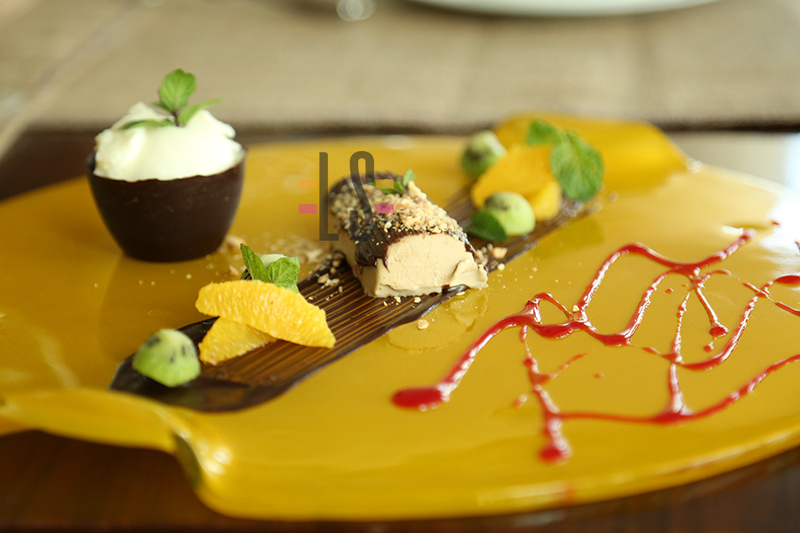 The Sundays see a lovely concept of laying the Grandma’s table wherein a table for 18-20 people is laid and is loaded with delicious delicacies. You may not know a lot of them but this is how traditionally Italians in their rustic set up used to get together and eat, drink and make merry, singing out songs and playing instruments and occasionally dancing. The idea is to make merry and open your heart and senses. 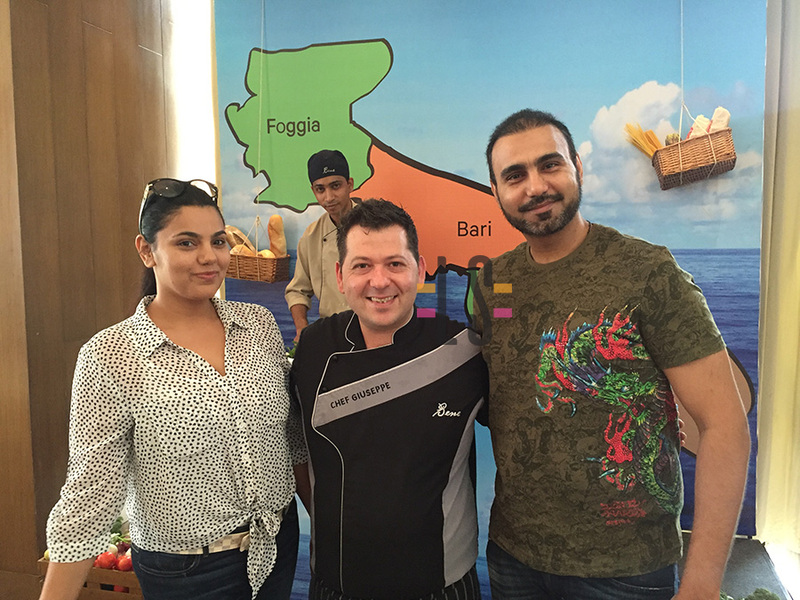 Chef Giuseppe Lioce is truly an Italian by temperament and we had a lovely time interacting with him. 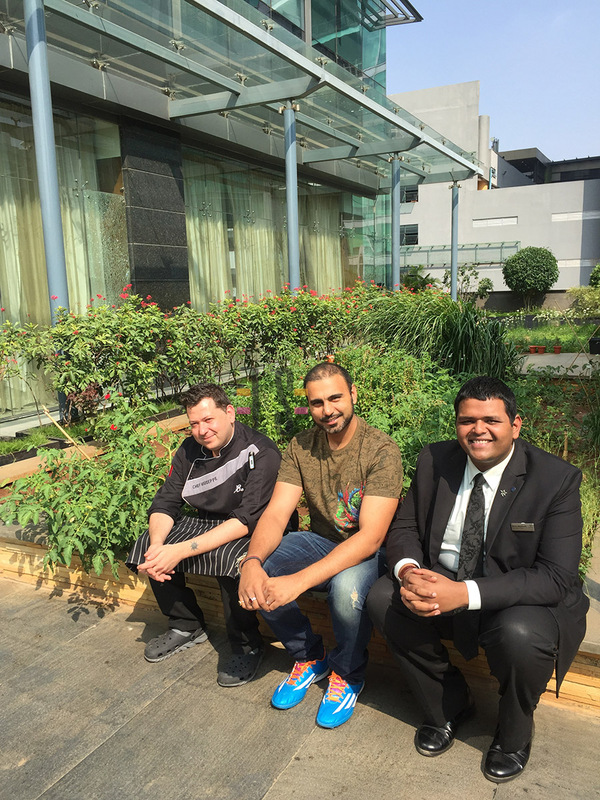 We were invited by the very warm team of Brigade gateway for a lavish lunch and the chef created a unique experience for us with his jovial attitude and we struck a special camaraderie and he truly enlivened the dining experience at Bene. He served us some of his signature dishes but we had to start with a Chardonnay and some fresh olives stuffed with almonds which are specific to Italy. Signature bread was also served with Bene dips and olive oil. 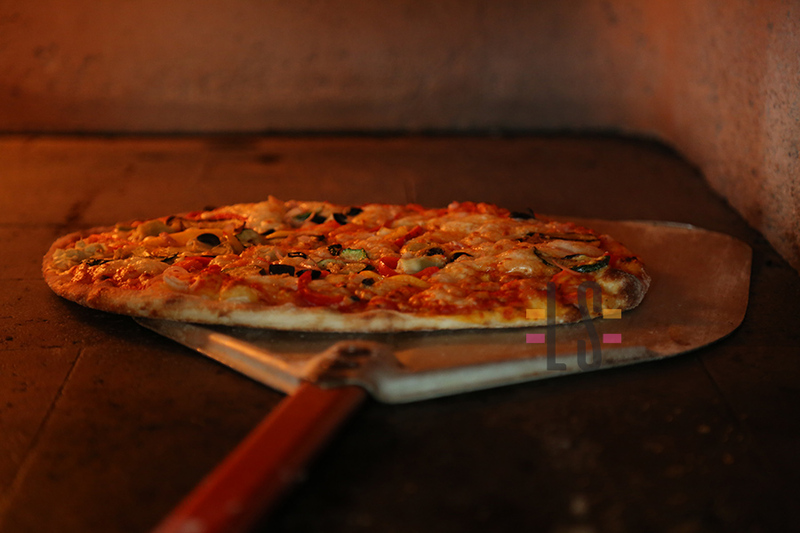 The restaurant has a characteristic Italian/Californian style in contrast to the traditional Italian décor set in cheerful colors with natural wood and stone in a functional yet modern design. Once you are there you choose from an impressive array of appetizers and salads, soups, pastas, pizzas, cheese, hand crafted by the Italian Master himself Chef Giuseppe Lioce all of which are impeccably flavored and are made from the freshest local ingredients together with fine imported Italian products, authentic recipes with innovative and exquisite presentations. We also did a tour of the herbs that were grown there itself for the fresh aroma it imaprts to the food. 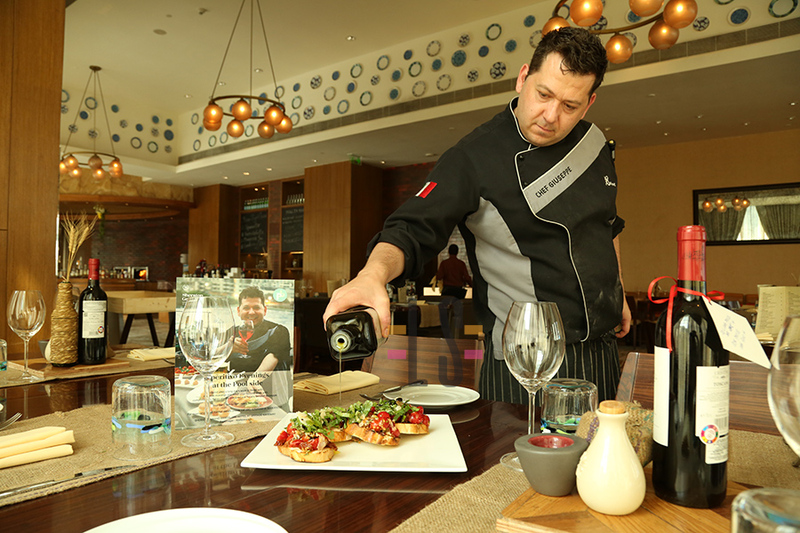 The menu features a wide selection of traditional Italian dishes along with creative house specialties with the famous Pizzaiolo, Pizza Bar that helps the guests in selecting the pizza of their choice while they have a sip of their favorite beverage. It was a fine dining experience with lovely music playing, wine n food in ample, cheer in the air and laughter riots amongst us. The French windows invite people into the restaurant with action, music and aroma from the open kitchen and bread ovens. Natural light, windows with a view, large and picturesque botanical arrangements and the opening to the outdoor terrace accentuate the fine Italian experience. 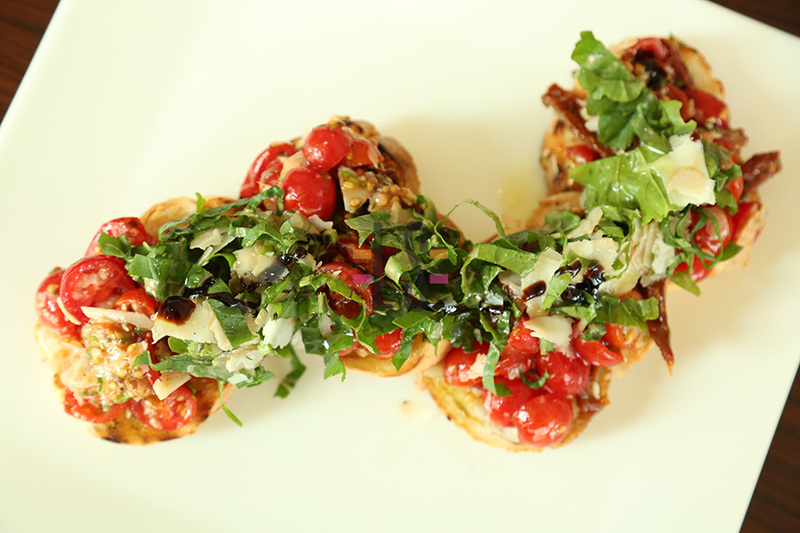 Bruchetta pugliese – homemade PUGLIA BREAD and its topped with fresh cherry tomatoes from the terrace of sheraton itself. Then it has sundried tomatoes, shaved aged parmesan cheese, extra virgin olive oil and argula leaves to imaprt that fresh flavour. This was one of the appetisers we began with. 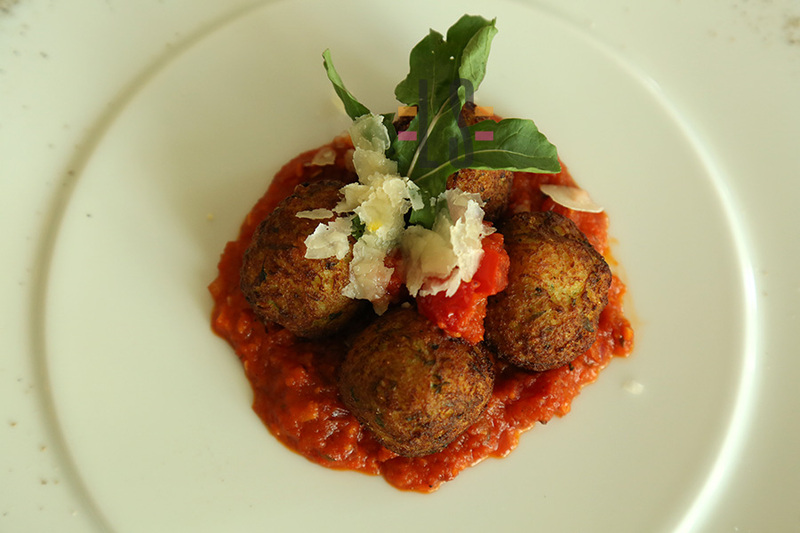 Polpettine di zucchine- this is again an appetiser which is zucchine fritters served with chili tomato sauce and dry olives from Bari. 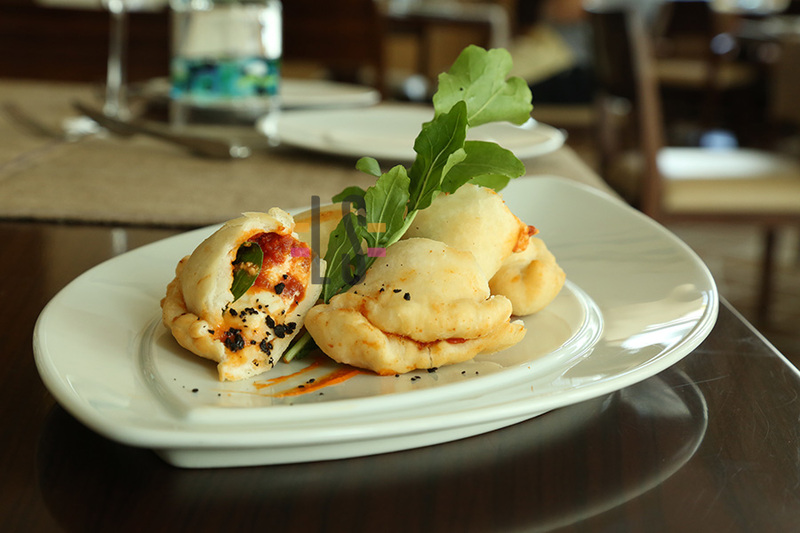 Panzeroti pugliesi- this is like mini folded pizza and it was so soft and deliciosly filled with stuffing of burrata cheese and tomato and basil. This just melted in my mouth. Cavatelli alla pugliese- this is again homemade cavatelli pasta and it also looks easy to roll out but really,no. 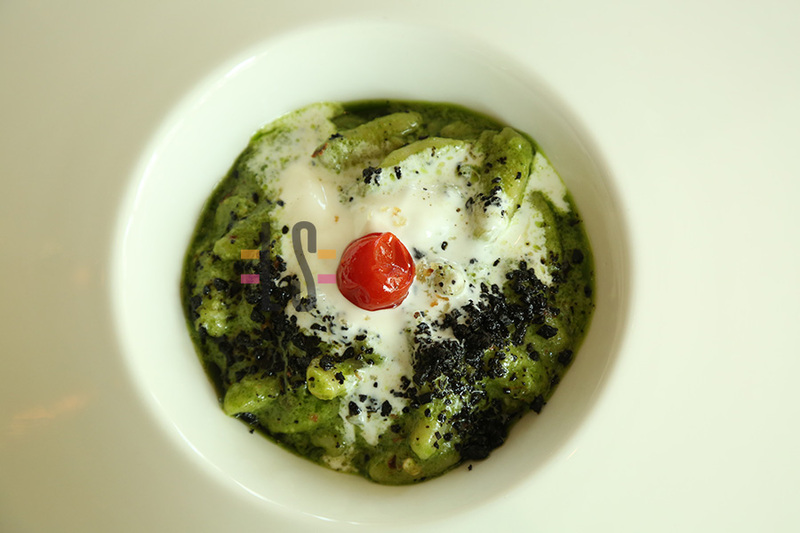 this is cooked in rich basil pesto, black olives, sundried tomatoes and creamy burrata top it and slurp. So we had two kinds of pasta,one in veg and another in non veg selection. 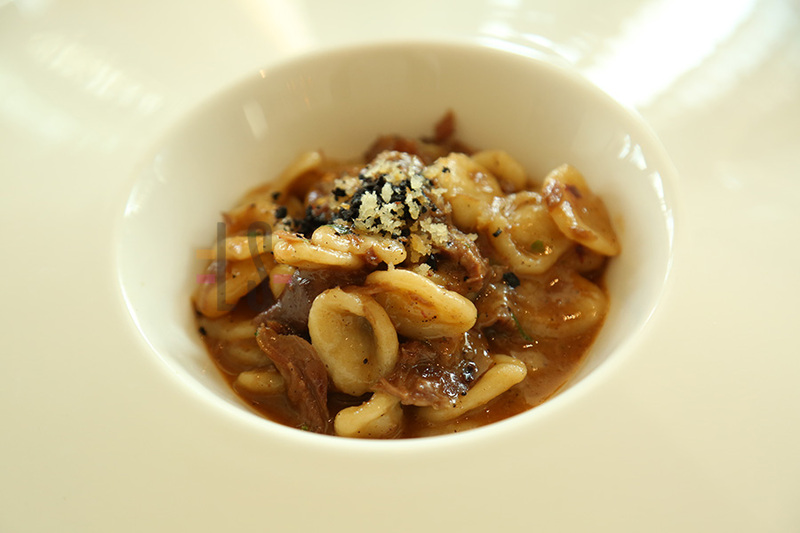 Orecchiette al ragu- this is homemade orecchiette pasta which chef told me how to make and is usually made in every household of Bari and I tried my hands at it. This is traditionally slow cooked with lamb ragout and left on the flame for hours together as Sundays church would keep women busy and as they come home it is already done. Then it is topped with pecorino cheese and enjoyed as a Sunday meal by all and one together. This was amazing and I love my experience of trying to roll it out, though unsuccessfully. 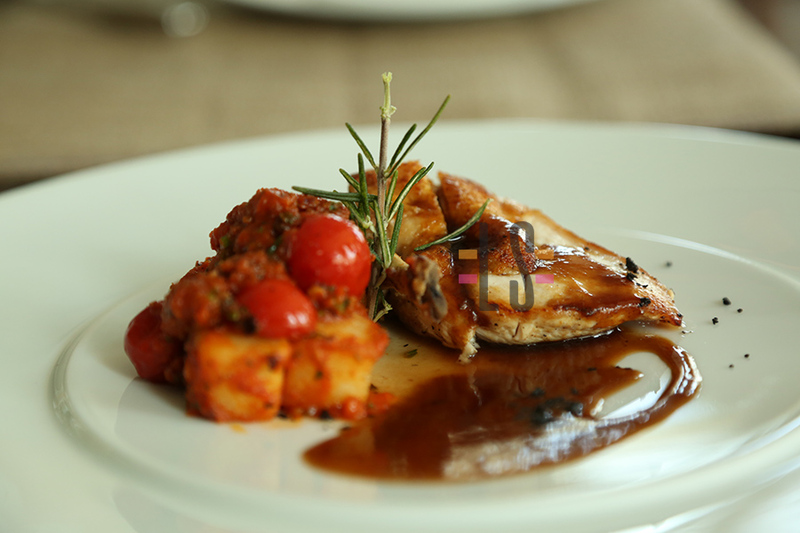 Pollo alla pugliese- this is chicken cooked in casserole with rosemary,fresh tomato, potato and grilled onion, and served with fresh salad. 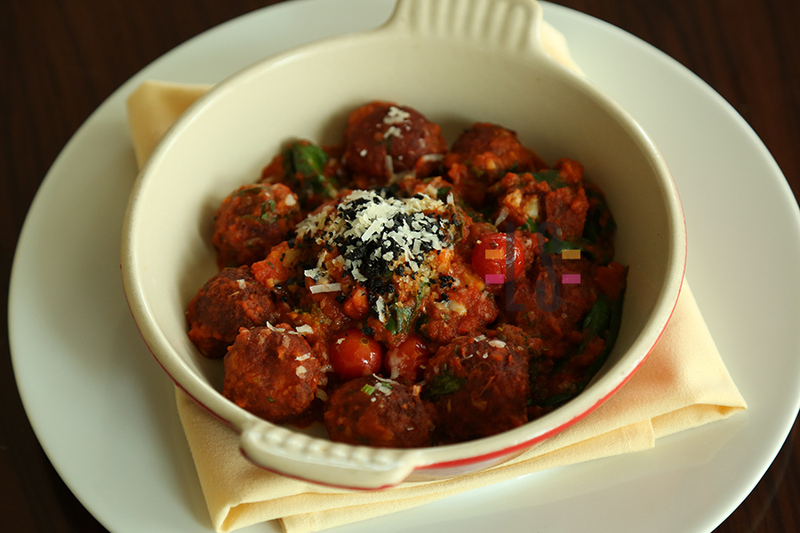 Cocule- these are potato dumplings baked in oven with chili gravy tomato sauce, topped with salted ricotta cheese shavings and spinach. Semi freddo al caffe- this was the dessert for us, coffee ice cream cake, almond foam, and some citrus seasonal fruits.